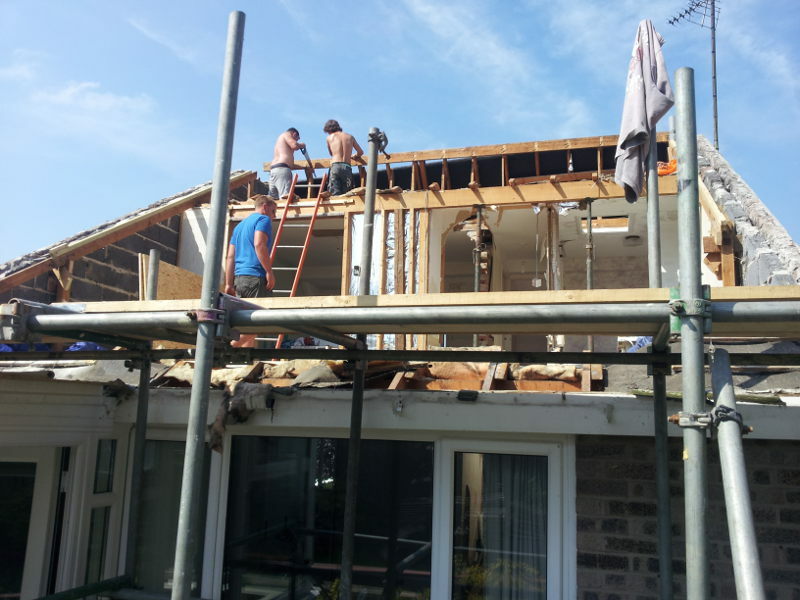 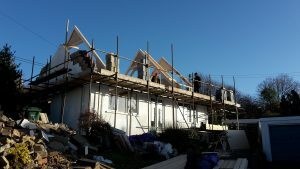 The contractor was Stevenson Building Contractors Ltd.
Extensive alterations are being carried out to this bungalow in Stroud by removing the original roof and forming a new roof that will allow additional rooms. 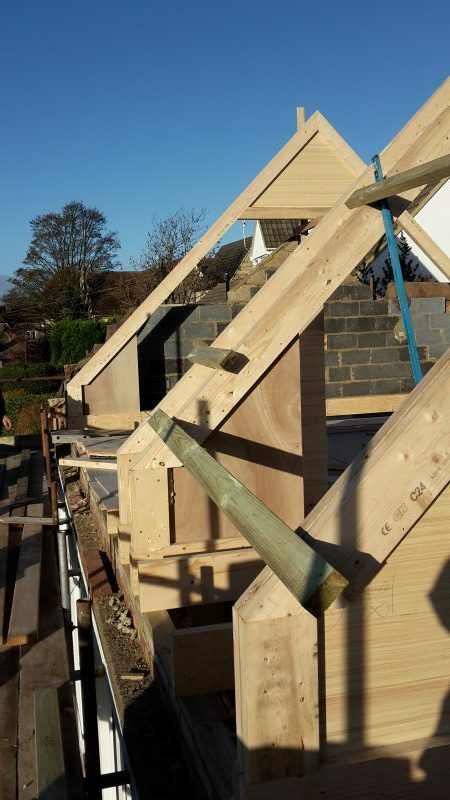 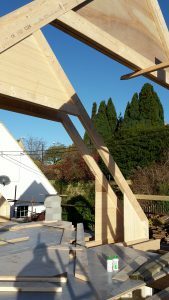 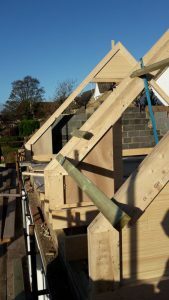 Due to the configuration of stairs and windows, there was no room for standard attic trusses so all of the new trusses are formed on site with timber and plywood glued and screwed together. 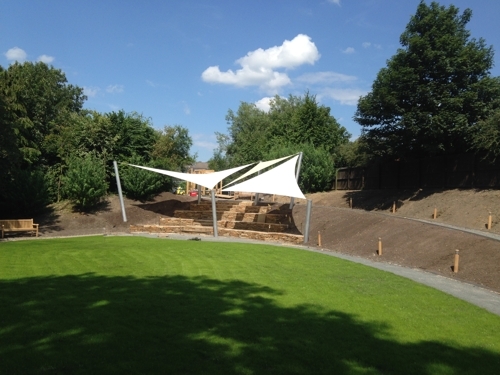 We have been working with Able Canopies to design the supporting structural elements for this shade sail canopy in Lancashire. 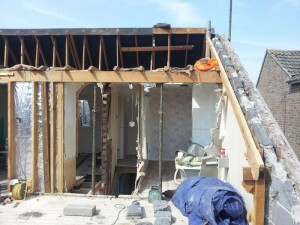 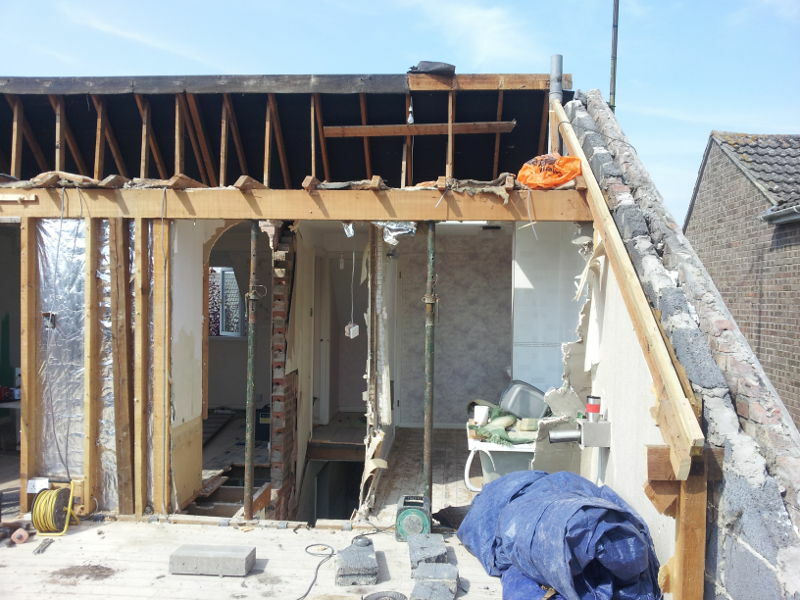 Taking apart a house by removing the roof of this house in Crudwell with Jagged Edge Design architects. 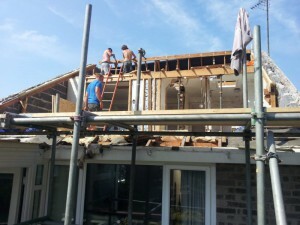 The proposal is to extend the useable floor space at first floor level by reconfiguring the roof.